I woke up this morning early, my head is on fire at the moment with the plans we have and the processes we need to out into place for our Crowdfund. The responsibility of owning a business and being a business person is not one to treat lightly, for ourselves as business owners, business partners, parents and citizens, but also for our sanity. This made me think about Business Planning, the relief I have daily that we have created a full plan for investors and for ourselves. As I lay back on my pillow, I reflected on this and wondered if this would be a valuable aspect of business to talk about today with you all. I feel it is, hope you do too. 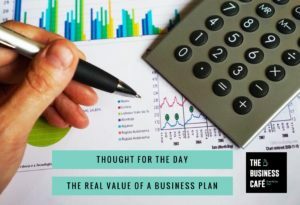 I wonder how many business owners actually write a plan, often we don’t do it unless we need one for the Bank or Investors. The true value of them is the discipline of the process. I would recommend it, even if just two pages and at a high level, we should take time to think about our business not just “do and be it”. My 3 Goldilocks examples of the one that felt just right, helps me to advise on this subject. A Business Plan should inspire, comfort and be realistic. Honest and true and must be practical. It cannot look too far forward, but it should guide your mind to at least the next two years. Ours looks forward to 5 years and projects the openings of locations and the demands on cash, thereby showing the revenues we must achieve. Driving the activities and talent we need to recruit and the processes that underpin the business. Yours may not be that detailed however, as you will read at the end of my thoughts, it is the best way to respect yourself. To write a plan, we have to start with impact and the problem we seek to solve. Unless there is a problem, then it is hard to see the market need. The positive thinkers here will say ‘surely it should be an opportunity’ and yes, in all problems there sits an opportunity, that is your marketing and your positive drivers. But without a problem to solve, I don’t think the market will be ready to spend money. Ideas are boundless and there are so many businesses that start with the excitement of an idea and a dream to fulfill. But is the market ready to part with cash to pay for that dream. Once the ‘problem’ is established we can look at the activities that need to happen to deliver the service/product, the operational functions in a business and the costs to run the operation. This throws out the costs and the impact on the cash flow. Then we will know exactly what revenue is required. Your time as a business owner is an operational cost and I think few people build their time and expectations of income into this equation and wonder why they are still working on a minimum wage when they work all the hours they do, some even working for free. The reality of running a business is that we have to be business people. We cannot be volunteers in our own business, we cannot be purely driven by love and desire to help others. I was once told by a great man who I questioned about my dichotomy of emotions, my desire to help others and my need to charge. His wise words were “Penny, the world does not want or need another poor person”. Writing a Business Plan is a great start in recognizing that you are in business and not running a hobby. Once written it will inspire action but most of all, I think it is the moment when we take things as seriously as we need to, respecting ourselves as our first employee, and that is the kindest thing you can do for yourself.